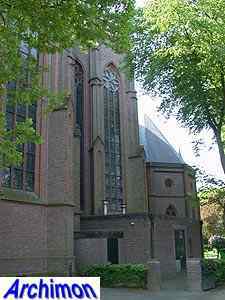 The H. Kruisverheffing is one of the highlights in the career of architect Alfred Tepe. 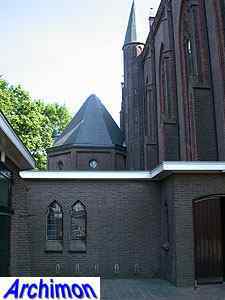 The church was built in 1891-1892 and replaced a smaller church built in 1836. 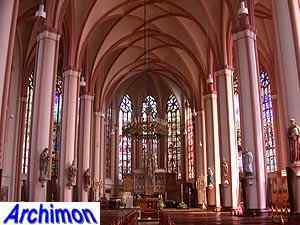 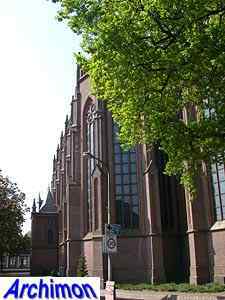 The current church is a big, three-aisled hall-church in Tepe's usual neo-Gothic style, inspired by Lower Rhine and Westphalian Gothicism. 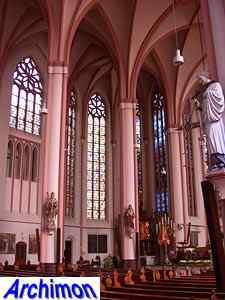 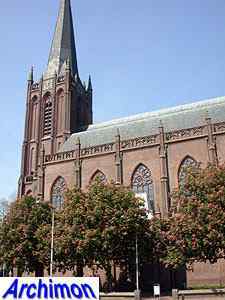 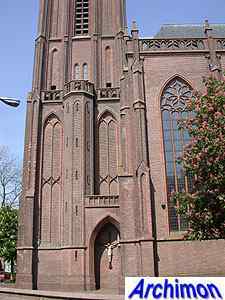 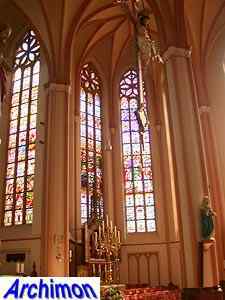 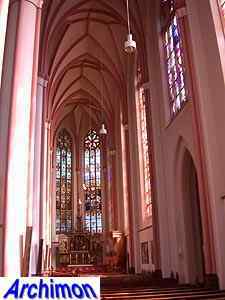 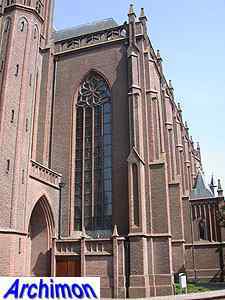 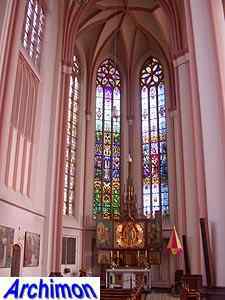 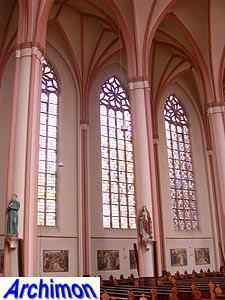 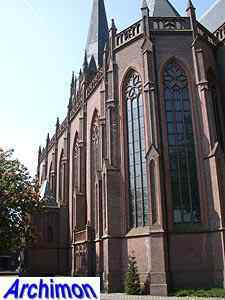 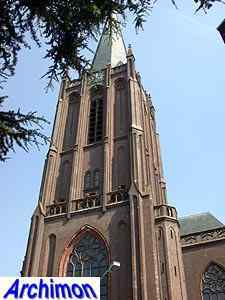 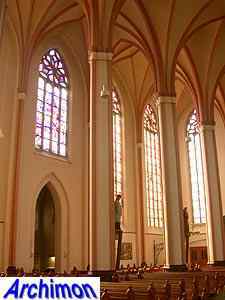 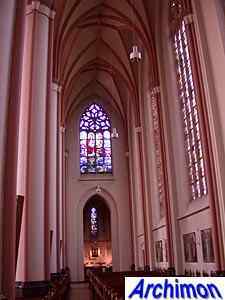 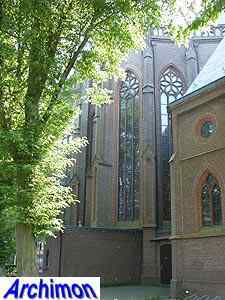 The design was based on the Gothic St. Lamberti in Münster, Germany. 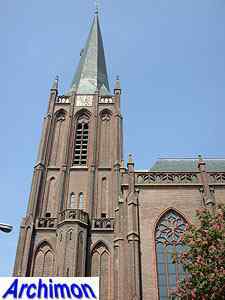 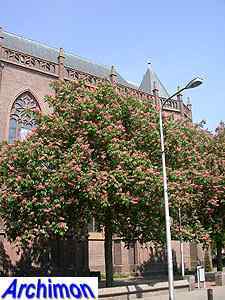 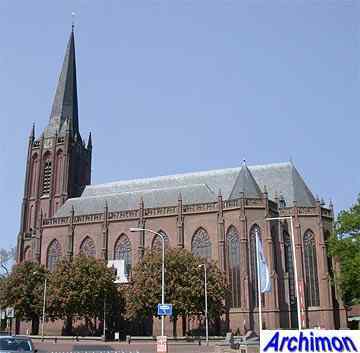 In 1885 that church had been the example for Tepe's St. Nicolaas in Ijsselstein (U), which is very similar to the church in Raalte. 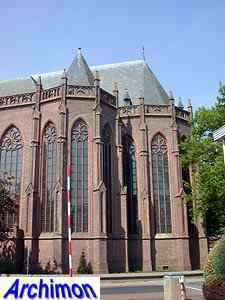 A bit unusual for Tepe is that both churches were ornamented with pinacles and balustrades, although for these the architect sticked to his usual building material, brick. 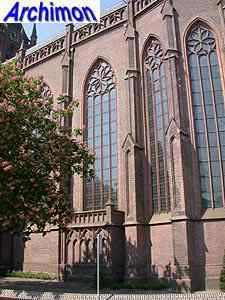 Even the buttresses are finely decorated. 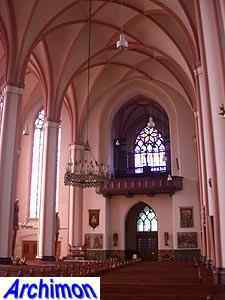 The nave consists of three aisles, with the central aisle being wider than the side-aisles. 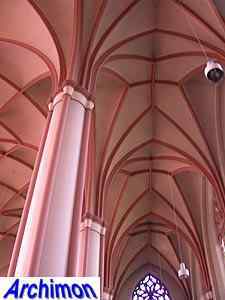 Although the three aisles are of equal height, the central aisle has a higher roof than the side-aisles, a common feature in Tepe's work. 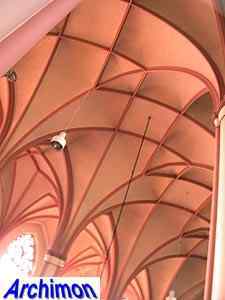 On the east side, the side-aisles end in polygonal chapels which flank the choir and are covered by seperate roofs. 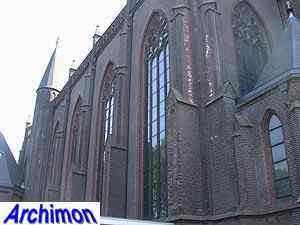 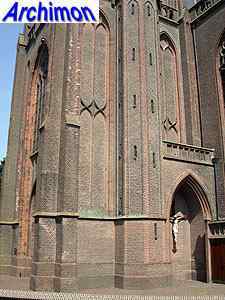 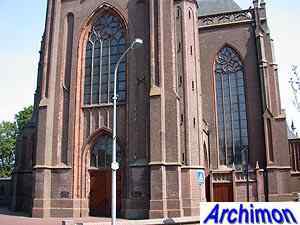 While the side-aisles of the church in Ijsselstein have chapels on the west side as well, flanking the tower, here these are missing. 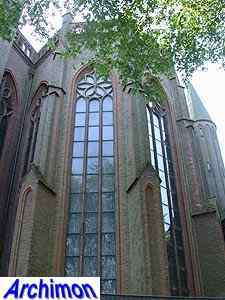 This leaves the sides of the tower free, which are richly decorated with blind niches with traceries. 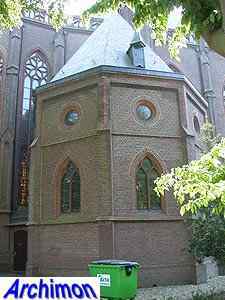 On the south side of the tower are a deep chapel-like niche with a cross inside, as well as a stair-turret. 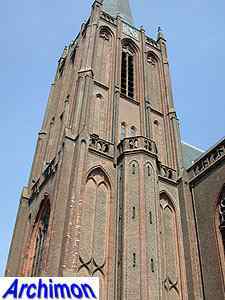 The tower is made up of two major parts, each ornamented with balustrades on top, while the upper part has pinacles as well. 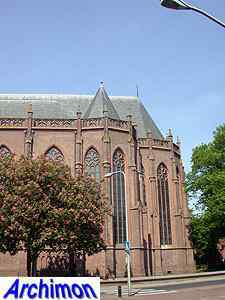 On the north side of the nave is an octagonal chapel, with next to it a polygonal stair-turret. 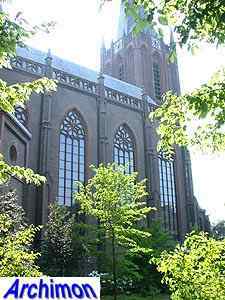 In 1992 the church was given the honorary title of Basilica Minor.